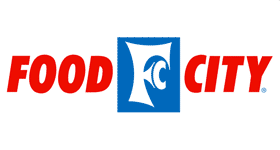 Here are all the deals from the Food City weekly ad, starting 7/1. Stock up on some grilling items for this 4th of July! Click on the blue button at the end of the list to report any coupons to add or remove. Save $5 WYB (10) participating items. Prices listed after discount. Seedless Watermelon, personal size, $3.99 ea. Loose Yellow Corn, 33¢ ea. These deals are good through 7/28. Get $1 off Full Circle Eggs, 12 ct. These deals are good through 7/21.